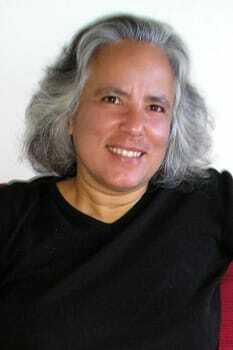 I am a Professor in the Department of Sociology and Director of the Arrighi Center for Global Studies. My research focuses on problems of development, labor, social conflict, and war, using comparative and world-historical methods of analysis. By recasting these issues in a broad geographical and long-term historical framework, my work teases out patterns of recurrence, evolution and “true novelty” in contemporary processes of globalization. 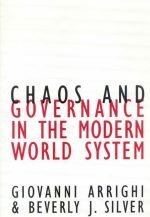 Beverly Silver is the author of award winning books including Chaos and Governance in the Modern World System (with Giovanni Arrighi et al) and Forces of Labor: Workers’ Movements and Globalization since 1870. 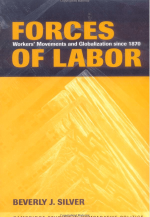 Forces of Labor has been translated and published in eleven languages, including Spanish (AKAL), German (Assoziation A), Korean (Greenbee) , Portuguese (Boitempo), Italian (Bruno Mondadori), Turkish (Yordam Kitap), Polish (Le Monde Diplomatique, Warsaw), Farsi (Alfabetamax), Czech (Grimmus) and Chinese (Social Science Academic Press, Beijing), and won numerous awards including the 2005 Distinguished Scholarly Publication Award of the American Sociological Association. She teaches courses on social theory, macro-comparative methods, development, labor, and the political economy of global capitalism, and coordinates the Sociology Department's Program in Global Social Change and Development. Beverly J. Silver, “‘'Plunges Into Utter Destruction' and the Limits of Historical Capitalism”. Capitalism in Transformation, editors R. Atzmüller et al, Edward Elgar Publishing, 2020 (in press). Sahan Savas Karatasli & Sefika Kumral & Daniel Pasciuti & Beverly J. Silver, 2017. "World Hegemonies and Global Inequalities," Chapters,in: Mapping a New World Order, chapter 2, pages 23-37 Edward Elgar Publishing. Beverly J. Silver and Sahan Savas Karatasli, "Historical Dynamics of Capitalism and Labor Movements" in The Oxford Handbook of Social Movements editors Donatella Della Porta and Mario Diani) 2015. Beverly Silver, "Labour, War and World Politics Contemporary Dynamics in World-Historical Perspective" in Handbook of International Political Economy of Production (editor Kees van der Pilj) Edward Elgar, 2015. Beverly Silver, "Theorising the Working Class in Twenty-First-Century Capitalism" in Workers and Labour in a Globalised Capitalism: Contemporary Themes and Theoretical Issues (editor: Maurizio Atzeni) Palgrave Macmillan, 2013. Beverly J. Silver and Giovanni Arrighi, "End of the Long Twentieth Century" in Craig Calhoun and Geogi Derluguian (eds). Business as Usual: The Roots of the Global Financial Meltdown. New York University Press, New York, 2011. Beverly J. Silver and Lu Zhang, "China as an Emerging Epicenter of World Labor Unrest" in Ho-fung Hung ed. China and the Transformation of Global Capitalism. 2009. Beverly J. Silver, Labor Upsurges: From Detroit to Ulsan and Beyond", Critical Sociology, 31, 3, 2005. Giovanni Arrighi, Beverly J. Silver and Benjamin D. Brewer, “Industrial Convergence and the Persistence of the North-South Divide: A Rejoinder to Firebaugh”, Studies in Comparative International Development, 40, 1, 2005. Beverly J. Silver, "Labor, War and World Politics: Contemporary Dynamics in Historical Perspective" in B. Unfried, et al, eds. Labor and New Social Movements in a Globalising World System. Vienna, 2004. Beverly J. Silver and Giovanni Arrighi, “Polanyi’s ‘Double-Movement’: The Belle Epoques of British and US Hegemony Compared”, Politics and Society, 31, 2, 2003. Giovanni Arrighi, Beverly J. Silver and Benjamin D. Brewer, “Industrial Convergence and the Persistence of the North-South Divide”, Studies in Comparative International Development, 38, 1, 2003. Giovanni Arrighi and Beverly J. Silver, “Capitalism and World (Dis)Order”, Review of International Studies, 27, 2001. Giovanni Arrighi and Beverly J. Silver, “Labor Movements and Capital Migration: The U.S. and Western Europe in World-Historical Perspective”, in C. Bergquist, ed., Labor in the Capitalist World-Economy. Beverly Hills, Sage, 1984.